You are a professional. You want others to know you and your works. 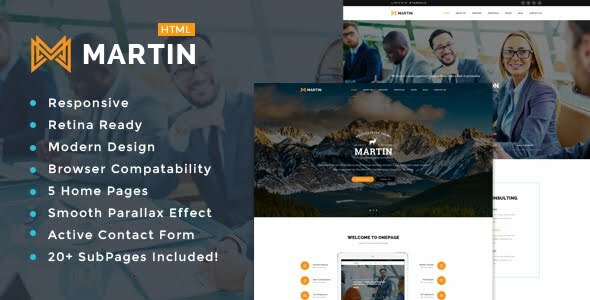 It’s time to build your site with Martin – Multipurpose Responsive HTML5 Template. Simple to setup and very simple and straight forward which is the best way to express you and your business. Personal, Blog, Agency, Business, corporate whatever your sector is, with Martin, you can build your site as potential tool with wide range of features portfolio, gallery, blog and the most convenient way to communicate with you.